Teardrop or Feather Banners Sunshine Coast. 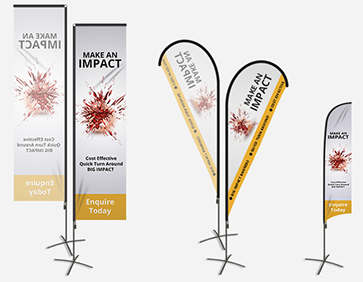 Banner flags, teardrop, feather or rectangle are one of the most popular forms of Sunshine Coast outdoor advertising due to their high visibility and easy assembly. Designed to withstand the harsh sun rays, our teardrop, rectangle and feather flags are printed using quality dye-sublimation, made of high-quality 110gsm knitted polyester and are double stitched for durability. 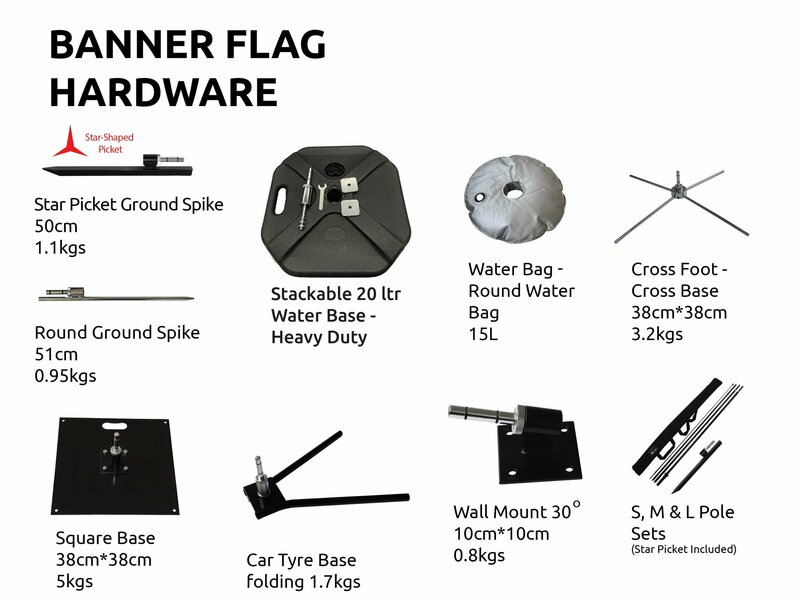 All banner flag sets come standard with a custom print, carry bag, high-quality fibreglass pole and star picket ground spike that reduces the ability for the flag to move or lean. We carefully chose these features to set us apart from our competitors. We also include a free carry bag for easy transportation. Available in 3 different types and 4 different sizes, we're sure to have a banner flag to suit your needs.